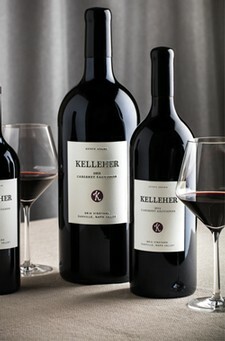 Please contact us at wines@kelleher.com to find out how to become a part of the Kelleher Wines family. Fruit for our 2015 Three Sister’s Chardonnay is sourced from the organic Marimar Estate’s Don Miguel Vineyard which is located in the southwest corner of the Russian River Valley. The fruit is grown in a cool microclimate with a combination of See and Rued Clones. The wine is aged in a combination of stainless steel and used French oak barrels. The old world winemaking technique of batonnage, the French term for stirring the lees, provides a balanced wine with a beautifully silky mid palate. 91 Points - Robert M. Parker, Jr.
"The 2015 Chardonnay Don Miguel Vineyard has loads of pineapple, guava and exotic tropical fruit and is a non-malolactic Chardonnay that is a fruit cocktail. Full-bodied, it has terrific intensity and good underlying acidity to give energy and precision. This wine should be drunk over the next 4-5 years." "A bit hazy in appearance and exhibiting the pulpy richness and fruity fullness that its look so often predicts, this nicely filled offering is rife with sweet apples and pears, and its well-considered complement of creamy oak provides a measured boost in welcome richness. It is full-bodied and invitingly fleshy in feel with a spot of last-minute raggedness that is certain to mitigate with age, and its ongoing impressions of structured stuffing make a couple of years of keeping a bet without risk." 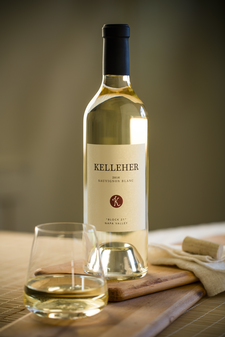 The 2016 Kelleher “Block 21” Sauvignon Blanc is our 8th release from the highly regarded, dry farmed vineyard in St. Helena. Aromas of pear, guava and citrus are balanced by a touch of stone fruit. The palate boasts flavors of melons, figs and peaches and is a moderately full-bodied and carefully balanced wine. Our Sauvignon Blanc has a slight richness from the lees stirring and the fruit forwardness is enriched by the depth that battonage imparts on the wine. The 2012 Napa Valley growing season was a dream. Perfect weather from start to finish-and the 2012 vintage of our estate grown Cabernet Sauvignon reflects this amazing season. Our 92 point wine has a good 12-15 years of age to look forward to but know that is it drinking beautifully right now. This is a wine that gives you a true sense of what Oakville AVA wines can offer with respect to terroir. Earthy, full bodied, fruit driven and memorable. finish. Should develop nicely with bottle age. Try in 2018." We also have large formats, Magnum (1.5 L) and the very limited Jeroboam (3 L), also know as a Double Magnum. The 2012 Napa Valley growing season was one marked by very cool temperatures which led to our latest harvest to date here at Kelleher Family Vineyard. We picked on October 21st, 2012 in the early morning hours, finishing just before the skies opened up and brought inches of rain. We have found that this vintage has provided us with a flavor profile that developed at a lower Brix which has enabled us to make a truly elegant wine with softer tannin structure. No more than 3 per customer. We also have the very limited Jeroboam (3 L), also know as a Double Magnum.